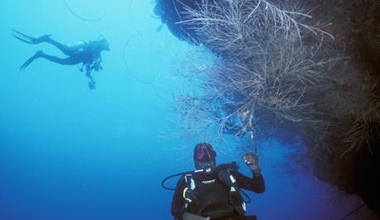 Note: The below are only some of the many great adventures available in Grand Turk. 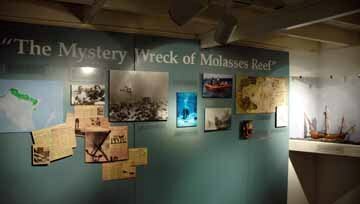 Full excursion details can be found and booked via your cruise line's website or onboard the ship. 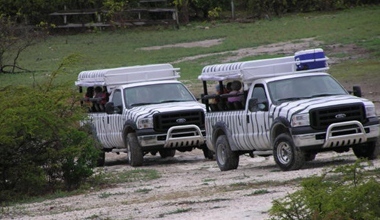 For an informative overview on the history and cultural heritage of Grand Turk, enjoy an adventure in the "safari-themed" 4x4 F250. 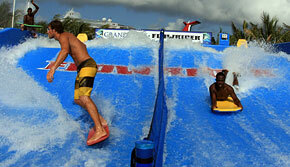 The Grand Turk FlowRider® is a self-contained water attraction that provides perfect conditions for bodyboarding, kneeboarding or stand-up riding on an artificial wave. 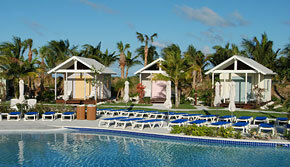 Relax at the Grand Turk Cruise Center in your own private and air-conditioned pool cabana. 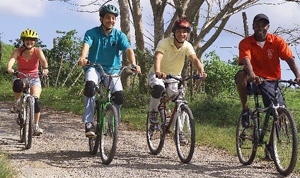 Join an exhilarating adventure as you tour this small island with a large history by bike. 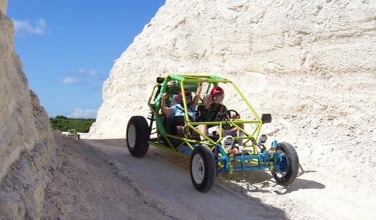 If you are truly adventurous at heart, this is your chance to climb behind the wheel of your very own 4WD off road vehicle for a drive of a lifetime. 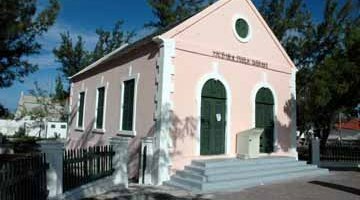 Your visit to Gibb's Cay starts at the cruise center where you board the boat for your short cruise to the unspoiled and uninhabited Gibb's Cay. This amazing and unforgettable excursion lets you explore Grand Turk’s natural beauty on horseback – both on land and in the ocean. 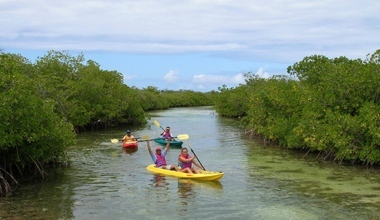 Explore the beautiful, tranquil waters of North Creek in a clear bottomed kayak. 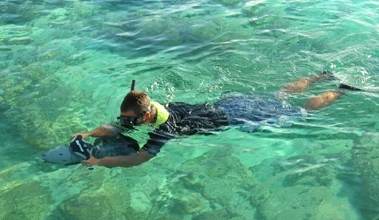 This exciting new way to snorkel uses a special underwater handheld power unit with a propeller that enables you to experience the spectacular beauty of the coral reefs in a whole new way. 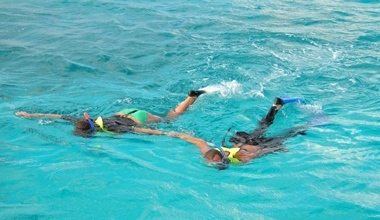 Try SNUBA a new and easy way to experience the world’s underwater beauty. 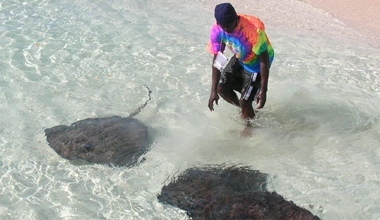 Take off on an adventure to see the stunning reefs that surround Grand Turk, explore an Island, and come in contact with sting rays at Gibbs cay. 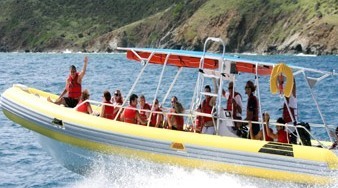 Climb aboard a catamaran sailboat and let the trade winds carry you away to a deserted island paradise. Enjoy island sight-seeing and then escape to Grand Turk’s famous Governor’s Beach for a relaxing day of sunbathing, swimming and snorkeling! Join us for a fun tour that is also a great historical experience. Escape to famous Governor’s Beach on this relaxing beach tour that includes air-conditioned roundtrip transportation from the cruise center.